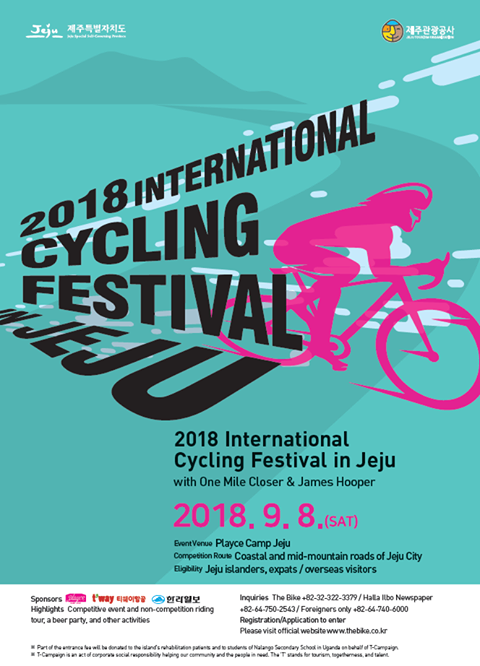 If you are a cycling lover, be sure not to miss the 2018 International Cycling Festival in Jeju. The cycling festival is an annual event designed to promote Jeju's natural beauty and its valuable assets. This year’s event is even more special by giving a helping hand to James Hooper and the One Mile Closer Foundation. Part of the entrance fee will be donated to the island's rehabilitation patients and to students of Nalango Secondary School in Uganda on behalf of T-Campaign.